I designed this workout when experimenting with my 30-Day Pull Up Challenge workouts and scheduling. And while I intended it to simply help people achieve that first, or 15th!, Pull Up, I never expected it to be such a core killer…like…KILLER! More clients tell me their entire core hurts, and is more sore after this one workout from my 30-Day Pull Up Challenge than from almost any other workout we do. That is also why this workout is so effective at improving your Pull Ups – it builds your core strength while also activating and strengthening your back. That’s right…core strength is ESSENTIAL to improving your Pull Ups. And this workout…well…it hammers your core as it works to improve your scapular retraction and get your back activated and working correctly! It also combines two other keys to improve your Pull Ups besides building core strength – it also uses Eccentric Pull Ups and Pull Up Holds. Including both Eccentric Pull Ups and Pull Up Holds in your workout program is also essential if you want results fast. Combining these 3 elements – Core Strength, Eccentric Pull Ups and Pull Up Holds is what makes this workout one of the foundational workouts of my 30-day program (Ready to improve your Pull Ups and want the full program? Click HERE) . Ready for a killer core workout that will improve your Pull Ups? Then try the one below! Warm up then complete 4-6 rounds of the first exercise, resting about 1 minute between rounds. Then rest 1-2 minutes before moving on to the supplemental circuits. Rest no more than 30 seconds between rounds of the supplemental circuits and 1-2 minutes between circuits. 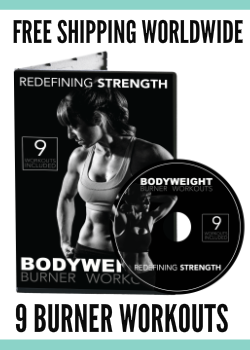 Complete 6-8 rounds of each of the supplemental circuits. Then cool down by rolling and stretching. NOTES: Pick variations of each move that allow you to work the entire 20 seconds. While that seems short, it adds up. And if you don’t work the entire time, you won’t get in the volume that will help create changes. Regress as you go if needed. For the Eccentric Pull Ups, lower down as slowly as possible. For Pull Ups, do the hardest version you can. Full pull ups, foot assisted pull ups, jumping pull ups….Something that will challenge your back for the time but allow you to keep moving even if you regress as you go! For the Push Ups and Pull Up Holds, select moves that work on weak points. For instance, close grip will work your triceps more on push ups. Wide grip will work your chest more. On Pull Up Holds, hold at the top to work on lock out. Hold at the bottom to work on Scapular Retraction (aka getting your lats actually engaged so you can begin the Pull Up). Hold at the mid-point to work on getting over your stick point. Want to improve your Pull Ups? 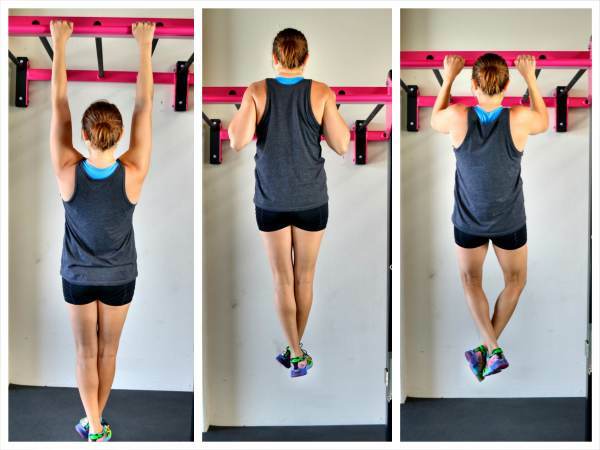 These 3 Keys To Improving Your Pull Ups will help! I am confused. If this is designed to help us do out first ever pull up, how can I do 20 seconds of them if I can’t even do one? Is this pull up program ok for people who has no upper body strength at all? This program will 100% improve your upper body strength. You will see improvements in your pull ups although depending on how far you are from a full one, it may take another round through to achieve that first full one! Hi I have tennis elbow. Can I still do this? Any way we can do a two week free trail? Hi Nicole. I don’t offer a trial. I’ve tried trials with this before and often what happens is people get two weeks for free and never use it. If you are serious about improving your pull ups, you need to commit to the full 30 days…and by you I mean the general you not you specifically :-). Try this workout and you’ll already feel how much it will help you. 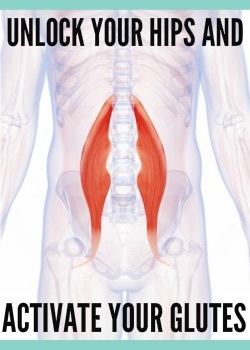 I have other articles as well that explain all that I include in the program in terms of not only strengthening moves but activation and mobility work as well. Where did you get that pull up bar? I need one. How long per day is this program? I already have a finite time to workout so before committing to this I want to know what the expectation is per day? 15min? 60min? Finally someone wrote an article about the benefits of pull ups on your core! I feel like that is not mentioned that often. Its a great overall body exercise! I am being building up my overall volume capacity and i have definitely started to see great results. 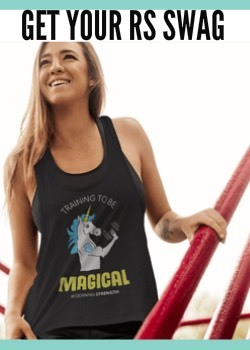 SO great for the core! 🙂 And glad you’re seeing results! Hi. I have Nicole Wilkins 6 weeks to a pull up program. Now, I am paying more for this one. How is this program better.